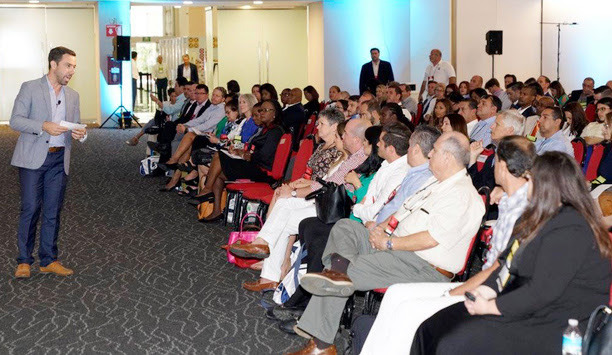 Workshop topics and panels announced for the Caribbean’s largest cruise tourism conference and trade show-including a record 10 chairmen, presidents and/or CEOs from FCCA Member Lines-with a focus on developing mutual understanding and success between cruise lines and stakeholders. 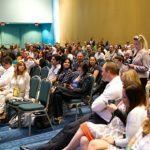 Miramar, FL (October 9, 2018) – Cruise tourism stakeholders are one step closer to a glimpse of the industry’s inner workings, as workshop topics and panels have been finalized for the FCCA Cruise Conference & Trade Show, the largest and only official cruise conference and trade show in the Caribbean, taking place in San Juan, Puerto Rico this November 5-9. Led by some of the 150 cruise industry decision-makers expected for the event who represent 95 percent of global ocean cruising capacity, along with high-level government representatives, the workshops will focus on key elements to foster long-standing mutual success between cruise lines and destination stakeholders. Plus, for the first time in the event’s 25-year history, chairmen of cruise lines and corporations will take the helm, with presidents and CEOs steering a separate workshop, to present both unique perspectives and an all-encompassing view of the industry. The participating chairmen of FCCA Member Lines-Micky Arison, chairman, Carnival Corporation & plc; Richard Fain, chairman and CEO, Royal Caribbean Cruises Ltd.; and Pierfrancesco Vago, executive chairman, MSC Cruises-will take the wheel following the opening ceremony on the morning of Tuesday, November 6. During their “Chair Talk,” they will shine the spotlight on trends and developments driving the industry’s record success and future growth, along with how it all relates to specific topics, and can grow business, for the stakeholders in attendance. Presidents and CEOs will then take the stage later that afternoon. Michael Bayley, president and CEO, Royal Caribbean International; Arnold Donald, president and CEO, Carnival Corporation & plc; Christine Duffy, president, Carnival Cruise Line; Jason Montague, president and CEO, Regent Seven Seas Cruises; and Andrew Stuart, president and CEO, Norwegian Cruise Line, will join the moderator and FCCA president, Michele Paige. They will deliver the “Presidential Address,” discussing some of the differentiations and innovations driving the unique cruise brands that are going all in to stand out and appeal to their target markets both on board and on land – and how and why working together with destinations and stakeholders leads to benefits for all. High-level executives representing numerous sectors throughout the industry will get the floor on Wednesday, November 7. Carlos Torres de Navarra, vice president, global port and destination development, Carnival Corporation & plc, will moderate “Creating Great Destinations: From Demand to Experiences, Ports to Tours” with a panel including Russell Benford, vice president, government relations, Americas, Royal Caribbean Cruises Ltd.; Russell Daya, executive director, marine and port operations, port developments and itinerary planning, Disney Cruise Line; Albino Di Lorenzo, vice president, cruise operations, MSC Cruises USA; Chrstine Manjencic, vice president, destination service operations, Norwegian Cruise Line Holdings Ltd.; and Matthew Sams, vice president, Caribbean relations and private islands, Holland America Group. They will share what draws passengers to destinations and creates unforgettable memories once there, revealing how to increase both demand and guest satisfaction from an overarching destination level to individual port, tour and transportation options. The final workshop will take place on Thursday, November 8 and gather top representatives from both the cruise line and destination sides, including Adam Goldstein, vice chairman, Royal Caribbean Cruises Ltd., and chairman, FCCA; Richard Sasso, chairman, MSC Cruises USA; Giora Israel, senior vice president, global port development, Carnival Corporation & plc; Hon. Allen Chastanet, prime minister, Saint Lucia, and chairman, Organisation of Eastern Caribbean States (OECS); and Beverly Nicholson-Doty, commissioner of tourism, United States Virgin Islands. In “Investing in Your Future,” they will review ways in which both parties are preparing for their long-term futures, and how those plans often involve partnership with each other, from port and destination developments, new attractions and even agreements preserving natural elements, to business continuity, emergency plans and best practices. Overall, the event will help attendees learn about the cruise industry and how to maximize its benefits during an agenda balancing business sessions with networking, promoting and exhibiting opportunities, including the workshops along with available preset one-on-one meetings between Delegates and cruise executives, evening functions and even tours to help develop relationships and show some of Puerto Rico’s enchantment and local flavor, and a Trade Show featuring exclusive executive viewings and special events to drive participation from attendees and executives.